Konstantin Konstantinovich Svitashev (1936-1999), corresponding member of RAS, is an outstanding scientist and organizer of science, a largest expert in the field of microelectronics, the director of the United Institute of Semiconductor Physics, the vice-president of SB RAS. 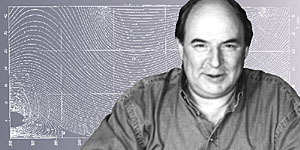 Konstantin Konstantinovich Svitashev was a largest expert in the field of microphotoelectronics, electronic and physicochemical processes on the surface and at the interfaces of semi-conductor structures as well as in the theory and practical use of the optical ellipsometry method to research surface properties of solids and to control technological processes when manufacturing semi-conductor devices. The scientific school that K.K.Svitashev created on polarizing reflection ellipsometry won recognition not only in Russia, but also in CIS countries and abroad. In the Institute of Semiconductor Physics, he passed through all steps, from a post-graduate student, a junior research assistant, a senior research assistant, the Head of the laboratory, the deputy director, up to the general director of the United Institute of Semiconductor Physics. For many years, the Institute of Semiconductor Physics he headed has leading rating in the field of elemental base and technologies micro- and nanoelectronics in the country and in the world. In many respects, this is a merit of Konstantin Konstantinovich who deeply understood the world development tendencies of microelectronics and set up the correct priorities in the work for the scientific personnel. Under direction of K.K.Svitashev, a series of instruments, ellipsometers, has been designed for controlling and measuring optical properties of thin films with the resolution of one monolayer, and the theory of ellipsometry has been considerably developed. A great program has been completed in the Institute that resulted in creating basic technologies to obtain new materials for infra-red equipment, in creating a series of striated and matrix IR-range receivers, electron-optical transducers, and systems around them. 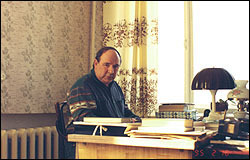 As he was the vice-president of the Siberian branch of RAS since 1991, K.K.Svitashev performed the management of applied and defensive research in the Branch. The scope of his concern was extremely wide: he coordinated developmental and industrial activity of the Branch, the activity on the practical use of scientific development of institutes, scientific and technical contacts of the Branch institutions with the ministries, authorities, commercial manufacturers; he supervised over the innovation activity in the Branch, scientific and technical and commercial promotion of the developments of the Branch, he headed the Exhibitions Council. During recent years, a major problem for Russia is being solved under his direction in SB RAS and directly in the Institute of semiconductors physics, namely, creating the technology to produce superpure single-crystal silicon that is the basis for micro- and nanoelectronics of the 21 century. * Source: Konstantin Konstantinovich Svitashyev // Nauka v Sibiri. - 1999. - N 8. - S.2. Dokumyent izmyenyen: Wed Feb 27 14:46:50 2019. Razmyer: 8,657 bytes.